Many thanks to SRAA contributor, Dan Robinson, who shares the following notes about the final transmission of Radio Trans Mundial (RTM). FYI — I am monitoring Radio Transmundial via [the PY2BS KiwiSDR in] Brazil. They are in the midst of a final discussion in Portuguese between two announcers, mentioning advances/changes in technology, Internet, etc. that are forcing the station off the air. Many mentions of shortwave. See attachments…..audio files are of studio discussion in Portuguese about their decision to end SW….then another file going right up until 1900 UTC or thereabouts when they went off. At about the 9:36 mark in the 1st audio file announcer introduces a technical person (sounded like someone from TWR, but also mentioned was “director of communications”) to begin a discussion about their decision to end shortwave — that discussion lasts until about the 34:30 mark when they go into full IDs. Second audio file you can hear Zanzibar gradually fading up and dominating the frequency, then in the clear after Transmundial goes off 11,735. 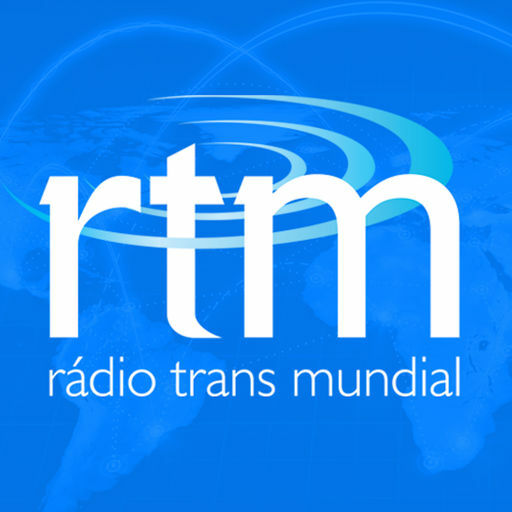 Many thanks to SWLing Post contributor, Fabiano Barufaldi, who kindly volunteered to translate the conversation between the RTM Director of Communication and the Director of Studios and Technical Affairs in this final shortwave broadcast of Radio Trans Mundial (RTM). Hello Dear Listeners! It’s 2:46pm. With us are André Castilho, our director of communication and also Samuel Marcos, director of studios and technical affairs, live. Good morning all. It’s a pleasure to be in front of such important microphones in the history of Brazilian gospel radio. First of all, I’d like clarify that we’re not the founders of Radio Transmundial, which was founded in 1970 in Brazil, initially transmitting from Bonaire in the Antilles in the Caribbean Sea, covering the entire Brazil’s territory in shortwave and mediumwave, reaching most of South America. They decided to discontinue the shortwave operation in the early 1990’s; they have recently resumed the 440KW power transmission from Bonaire, now with better quality, reaching the Amazon region and even listeners in the southern Brazil in MW 800kHz. When the Trans World Radio (TWR) shut down its shortwave transmission, the Radio Transmundial (RTM) decided to invest in shortwave in the 1990s acquiring a transmission site in Santa Maria – RS, Southern Brazil, in three shortwave frequencies, covering up to 80% of the Brazilian territory. Recently, the Bonaire site increased the MW transmission power, reaching a greater territory share. Talking about the 1990’s, a new, powerful transmitter was acquired for the Brazilian Santa Maria site, we always have been praised because of the quality of the transmissions. Our site was built with great diligence and care, mainly by Mr. Walter Wilke, who did excellent work during 20 years of dedication to our shortwave site, with the best equipment and sound, using three shortwave frequencies during these years that are now coming to an end. That’s sad news, we’re not happy to say that but it’s an important, necessary announcement that the RTM shortwave transmissions are being shut down this midnight. We had ended the 31 meters transmission, now we’re ending the 25 meters, 49 meters also, and we are so sorry about that. We have been asked by our listeners the reason, and it’s important to notice that this decision wasn’t made yesterday. We’ve been studying this matter since at least an year ago, considering the reach and audience and, of course, the financial aspects of it. The RTM has been keeping the shortwave transmission site and the equipment in excellent codition and, until now, Lord has provided the financial ways to maintain the operation but considering the low audience, the return of Bonaire to shortwave in high power, and elevated power expenses; all those factors contributed to take the decision some time ago of ending the operations – a decision that was matured – and now comes the time that we are finally shutting down the shortwave transmissions. The summary of our decisions was that the audience was too low so it was not being worth to keep such expensive shortwave structure. To give our listeners a rough idea, when we increased the power (50kW to 25 meters, 10kw to 31 meters and 7.5kW to 49 meters) we had to hire a custom, special grid with the local power company – and that costs!! We are a non-profit organization, funded by voluntary donations, so we need to be very careful with our budget. It’s sad to say that, because we love the radio, but the audience was very low, not being worth expending that amount of money. We are living a new tech era, so we as a mass media organization must be care about of our own survival, that’s why we took that decision and also because we’re experiencing over the years great increase in audience through the internet and by the local affiliates network as well. Still talking about costs, our transmission equipment is nearly 20 years old, although it was bought brand new and being well kept by Mr. Wilke, it’s an old equipment that demands expensive maintenance because it’s imported equipment running on valves. To give you listeners and idea, a burnt valve had to be recently replaced and costed nearly 5,300 USD, so that give us an idea of how expensive is to keep that, beside the monthly power costs. We have brainstormed on how to reach poor, isolated communities (Indian, forest people) with no access to new technologies for example by providing them our content stored in memory cards – we received reports of missionaries, social workers assuring that this is being welcomed. We’re also working to increase partnership with local stations to relay our content. There is a reason for us to be ending the shortwave transmissions on this particular day (August 8, 2018) – this is because our shortwave broadcasting license is expiring today, so due to the reasons explained above and also because the government’s bureaucracy, we are not going to renew it. We are sorry for the listeners who have in the radio the only way of getting our content, the DXrs as well, but that’s a cost vs audience matter. We’re having an average of 50,000 unique listeners over the Internet, some others through local affiliates, so we have to be responsible with our budget and focus on getting return over the investment, providing accountability to the donors. We thank our listeners for the support, care and understanding. We’ve been passionate shortwave listeners forever and that’s probably the reason why we do this for a living today. New technologies arise in an incredible speed in these days–getting cheaper too, enabling more people to benefit from them. Some people understand that in a near future the technologies will be unified and we will end on having a single media device for all content (TV, radio, internet, communications, etc), mostly cheap or even for free. That will not be a happy day…that’s a sad day instead – we’d like to continue with shortwave broadcasting but we’re getting empathy and understanding from most of our listeners – we’re not stopping, the RTM keeps on going. Thank you all for understanding and for your care; keep following us over the Internet, we’ll also be broadcasting every hour the list of local affiliates network. Thank you, Fabiano, for taking the time to write up this excellent translation. This commentary was insightful and without your help, I would have never been able to understand or appreciate it. And thank you, Dan, for making and sharing these historic off-air recordings.